What you have before you is a leaked copy of a forthcoming issue of “the paper“. 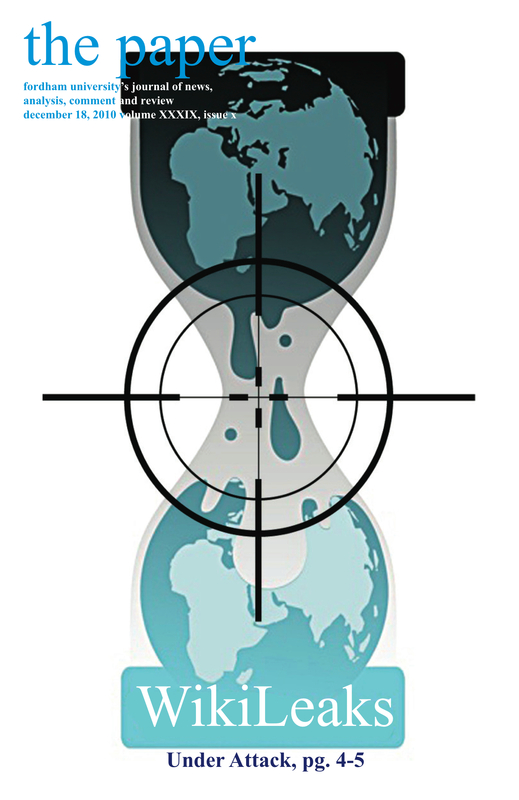 In it are some quite astonishing things about an organization known as “WikiLeaks” and an “attack on journalism” (pgs. 5-6, 9), ones Maria Bamford (pg. 15), Bob Dylan (pg. 17), and “Soulja Boy” (pg. 23). Though some say that there is “nothing new” in this document, others have called those responsible for its release “a threat against Fordham.” We leave you to decide for yourself.